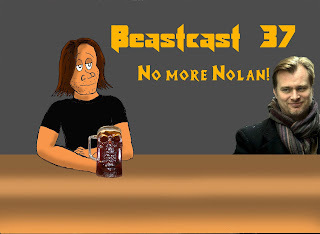 Beastcast Episode 37 - No more Nolan! Talking about DC Warners plan to crown Nolan the Ultimate God Empereor Supreme of the DC Movieverse. Soon DC will be rebranded as CN (short for Chris Nolan). Also talking about a humble Sam-Rai Man and other nerdy junk! FOR DOOM!!!. Download and player after the bump! True you are right. I need to make a shoutout video for some of the mondocoolmunity!